23 April 2014 – Russian officials suspected of torturing and killing whistle-blowing lawyer Sergei Magnitsky are named in the formal application now under consideration by the Chief Public Prosecutor of Norway Siri Frigaard. The application refers to Oleg Silchenko, Russian Interior Ministry officer in charge of Magnitsky’s arrest and detention, and others, including Mr Dmitry Markov and Mr Oleg Kuznetsov – two senior officers of Matrosskaya Tishina detention center, where Magnitsky was killed after rubber batons and handcuffs were used on him by prison guards. The application has been submitted by the Norwegian Helsinki Committee (NHC), a powerful non-governmental organization fighting for human rights. “The Norwegian Helsinki Committee (NHC) hereby requests that Norway’s Prosecutorial Services open a criminal investigation into Russian citizen Oleg Silchenko for his role in the torture and killing of Russian tax lawyer Sergei Magnitsky in 2009. In addition, NHC requests investigations of the role of others, including Mr Markov and Mr Kuznetsov, in the torture and killing of Sergei Magnitsky,” says the application. Under the Norwegian law, the Office of Prosecutor Frigaard – Norwegian National Authority for Prosecution of Organized and Other Serious Crime – has authority to prosecute serious organized crime and special international crimes, including crimes against humanity. “We propose that this investigation should be opened on the basis that Silchenko intentionally inflicted severe pain and suffering upon Sergei Magnitsky as defined under the Norwegian Penal Code (LOV 2005-05-20 nr 28, Sections 174 and 175) and the 1994 UN Convention against Torture and Other Cruel, Inhuman or Degrading Treatment or Punishment,” says the application. “Norwegian prosecutorial services engaging in investigations in this case will add significantly to efforts to fight impunity for those who killed Magnitsky, and in the wider fight against impunity for torture and other gross violations of human rights,” said Bjørn Engesland, Secretary General of the Norwegian Helsinki Commission. Sergei Magnitsky, a 36-year old lawyer who advised companies of the Hermitage Fund, the biggest foreign investor in Russia at the time, blew the whistle on the largest tax refund fraud in Russian history perpetrated by a serious organized crime group, which includes senior Russian officials and convicted criminals. 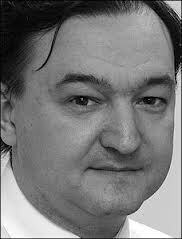 In retaliation for his testimony, Sergei Magnitsky was arrested by some of the implicated officials, tortured and killed in pre-trial detention. Under the international principle of universal jurisdiction, Norway and other states can initiate investigations and file international arrest warrant in cases of systematic torture or other gross violations of human rights. Norwegian law mandates a special office in charge of prosecuting serious crimes to ensure that Norway does not become a haven for people who are suspected of having committed such serious crimes abroad, Norwegian National Authority for Prosecution of Organized and Other Serious Crime. It is responsible for the investigation and prosecution of special international crimes, such as war crimes, genocide and crimes against humanity. “The investigation should be conducted in order for Norway to establish a preparedness to further investigate and prosecute the persons in case they enter Norwegian territory or otherwise appear within the reach of Norway’s jurisdiction,” said Norwegian Helsinki Committee Secretary General Engesland. Around the world, there have been parliamentary initiatives in a number of countries, among them the United Kingdom, the Netherlands and Sweden, to call for accountability of those responsible and prevent their opportunities to travel abroad and send capital across borders. The United States Congress passed a law imposing Magnitsky sanctions in 2012. On 28 January 2014, the Parliamentary Assembly of the Council of Europe, an international body comprising 47 member states, voted with 81% in favor of U.S.-like Magnitsky sanctions if Russian authorities continue to enjoy impunity in their home country. Earlier this month, the European Parliament called upon the European Council to adopt similar measures in EU member states. Chief Public Prosecutor of Norway Siri Frigaard has served as Director of the Norwegian National Authority for Prosecution of Organized and Other Serious Crime since 2005. From January 2002 until May 2003, Prosecutor Frigaard was deputy general prosecutor for serious crimes in East Timor, in charge of the investigation and prosecution of the crimes committed in 1999. She also served as a prosecutor and special legal adviser to the general prosecutor of Albania from June 1999 to October 2001. Prosecutor Frigaard has represented Norway on different committees at the European Council in Strasbourg and in the Baltic Sea Co-operation. The Norwegian Helsinki Committee is a non-governmental, non-profit organisation which monitors compliance with the human rights provisions of the Organisation for Security and Cooperation in Europe (OSCE) and supports initiatives to strengthen democracy and civil society. The work of the Committee is based on the Helsinki Declaration that was signed by more than 35 European and North American states at the Conference of Security and Cooperation in Europe (CSCE, later OSCE) in 1975. The Declaration states that respect for human rights is a fundamental factor in the development of peace and understanding between states.